Marlton, NJ — “Drive FORE! 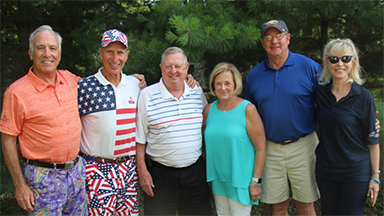 A Good Cause,” Samaritan Healthcare & Hospice’s 28th Annual Golf Tournament, recently welcomed 180 golfers to Little Mill Country Club to raise funds and awareness for Samaritan’s not-for-profit services. The tournament, sponsored by The Richardson Family Dealerships, raised more than $175,000 to help Samaritan provide care for community members coping with aging, serious illness, or grief, and to assist patients and their families live each day to the fullest with dignity, comfort, and support.